This beautifully illustrated picture book tells the story of 25 different migrating animals from around the world and the incredible journeys they take. 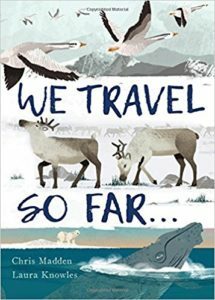 From the epic migration of the humpback whale and the sockeye salmon, to the great distances traveled by the hummingbird and Arctic tern, each animal has an instinctive urge to migrate, which is explained wonderfully in this fun read. 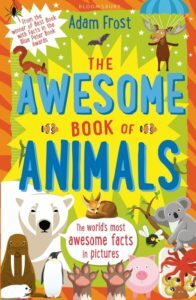 Winner of the Blue Peter Best Book with Facts Award, this handy guide will fill their heads with hilarious, weird and wacky facts about the awesome animals that share our planet. Did you know that an emperor penguin is as tall as the average 8 year old or that a jellyfish was sent into space? If your kids love fun facts like this, the Awesome Book of Animals is definitely for them! 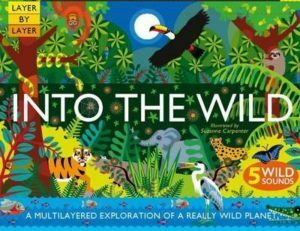 An interactive multi-layered fact filled book suitable for young children. 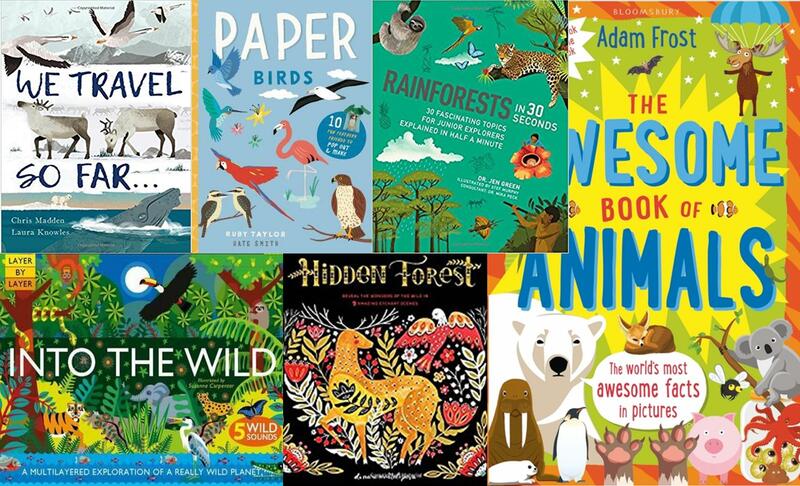 Explore the forests, grasslands, scrubs and mountains around the globe to discover which animals live in each. 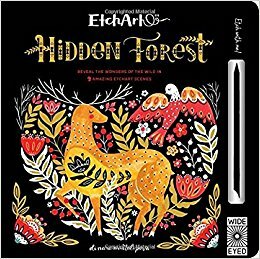 Vividly illustrated, a double page spread for each habitat includes layered flaps to lift and fun facts to read, with atmospheric sound effects magically bringing each scene to life. 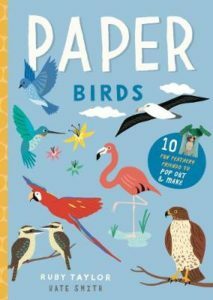 This handy fast paced guide explores the world of rainforests, delivering bite sized 30 second summaries on where to find them, who lives there and what they produce. Clearly illustrated, 30 topics are divided into six chapters, followed by 3-minute thought-provoking mini missions to complete. 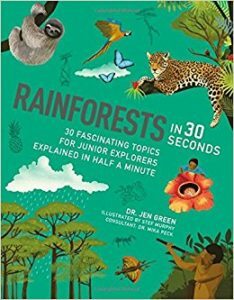 Perfect for any junior explorer interested in the wet, wild and wonderful world of rainforests.